If you are car shopping in 2019, you’ll come to notice (if you are paying attention anyway), that more and more cars are coming with direct fuel injection. There’s a few reasons for that which I will cover in a minute, but it’s important to be able to understand what direct injection actually is and how to effectively use that information. In my opinion, it’s not unlikely that nearly all new gasoline engines will have some kind of direct fuel injection on them in the next 10 years, so it’s going to come up. The main factors contributing to engine design as we hurdle towards the mid-21st century aren’t what they used to be. Before, an engine’s power and torque were what consumers paid attention to when buying cars. Now, efficiency and fuel economy are the new black. With the bonus push of many world superpowers demanding less and less cO2 emissions, carmakers are being forced to make more economical engines. That means smaller displacements and turbochargers to help maximize volumetric efficiency, and with that comes much tighter tolerances to squeeze every bit of power out of the tiniest of engines. 1.4l turbo engines have arrived in America people, and direct injection is a main contributing factor to allow that to even be a possibility in our market. Here’s how direct fuel injection is able to do it. Direct injection differs from standard “Multi-Port” fuel injection in that fuel is injected straight into the cylinder. Conventionally, the fuel injectors are placed in the intake manifold right against the cylinder head intake ports, and injected into the cylinder when the intake valve opens. That happens when the piston is moving downward on the “intake stroke” on a 4 cycle engine, drawing air in as well as the fuel charge. As the fuel and air pass the intake valve, they mix and fill the cylinder. This is described as a homogeneous mixture, where both air and fuel are mixed in harmony to create the perfect “stoichiometric” mixture. Not rich or lean, just right. 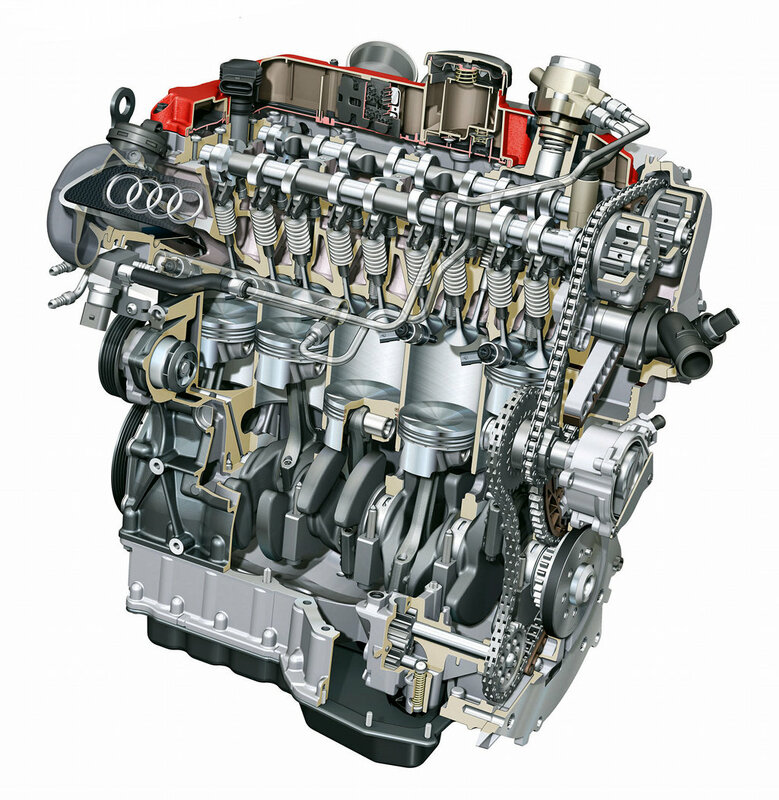 An Audi 2.5 TFSI Engine. Note the high pressure fuel pump on the top, driven by its own camshaft lobe. In direct fuel injection systems, the pressure of the final fuel charge is ramped up from maybe a few hundred PSI in a standard injection system to thousands. 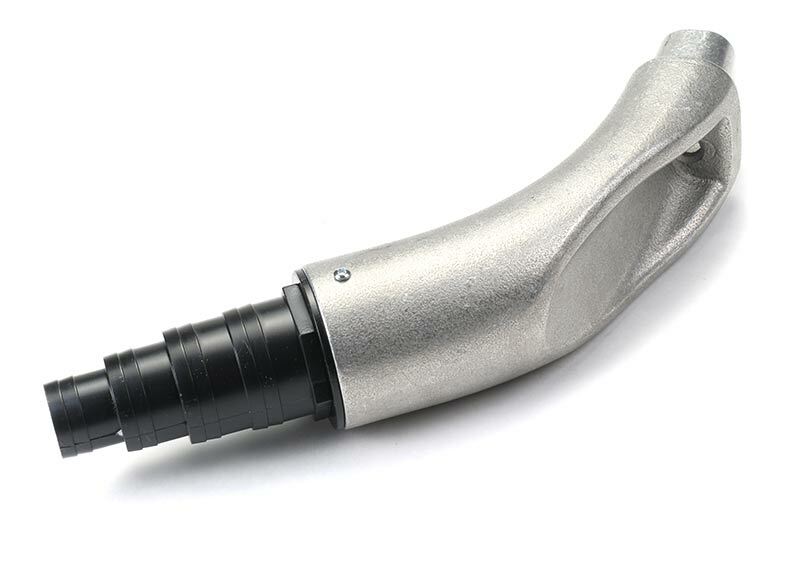 This, combined with having access to the inside of the cylinder without requiring an open intake valve, allows fuel to be delivered during the compression stroke in an extremely short duration. The result is far less possibility for knocking as the fuel mixture isn’t sitting around against hot spark plugs and glowing carbon cinders. This style is called a “stratified” mixture, where the atomized fuel charge has regions of rich mixture (usually around the spark plug) and regions of lean mixture along the outer edges of the piston and cylinder wall. Looking at the piston of a direct injection car, you will notice that the shape is radically different than normal pistons. This is because they are designed to shape this dense high pressure fuel charge into an even flame envelope, as well as keep fuel off of the cylinder walls. The smaller the engine, the easier this is. Large bore DI engines have some seriously wacky looking pistons. With the likelihood of knocking and pinging reduced, the compression ratio can be higher. With a higher compression ratio and ability to run a much leaner mixture, power can get a good bump up, and mpg’s increased. One downside is particulate (not cO2) emissions are increased. Most direct fuel injection systems, such as Bosch’s FSI system, can utilize a very powerful electronics suite to switch between different mixture modes. When doing basic light duty cruising, the injector is fired late in the combustion stroke, resulting in the very lean stratified mixture. When power and performance is demanded, the system can switch to a more Homogeneous mixture on the intake stroke, allowing for more fuel to be burned and a more powerful overall charge. Well, that sounds just great. Surely there’s no catch. Direct injection systems are, in operation, far superior to standard port injection. There are some drawbacks however, mostly associated with age and longevity. Direct injection systems are more complicated than standard multi-port injection systems, partially due to the elevated fuel pressures they must work at. To get the required pressures high enough, a separate high pressure fuel pump is mechanically integrated into the engine, usually activated by the camshaft. We’ve seen several cases of these fuel pumps basically crumbling apart. Sometimes, they break the camshaft and can even ruin an entire engine. None of that is a cheap fix as you can understand. Fuel injectors have to be extremely precise in order to pull off the stratified fuel charge. 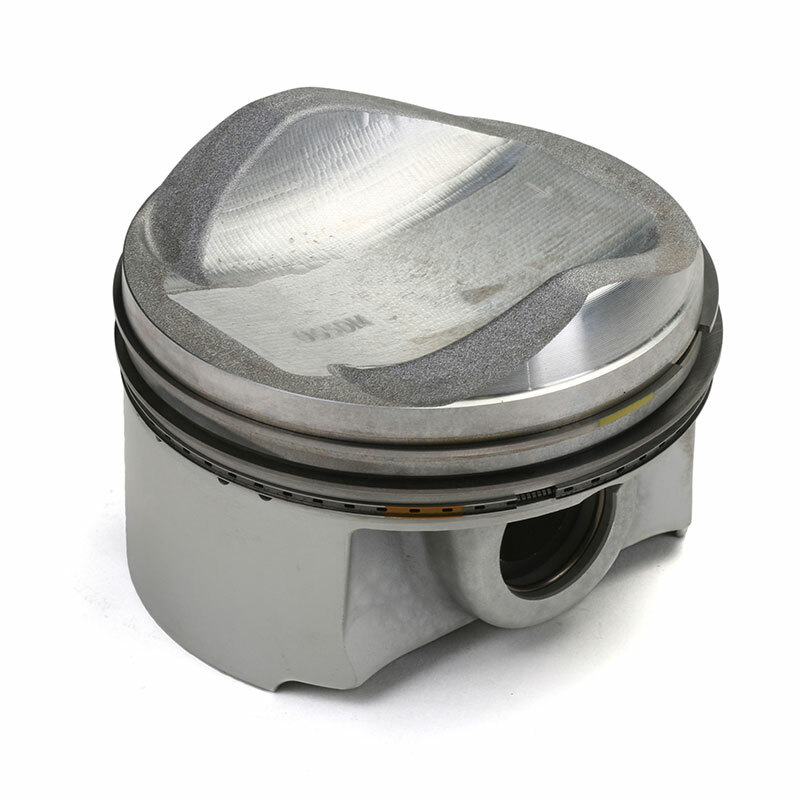 If they are not in good shape or aren’t able to deliver a perfect controlled burst to the center of the bowl on the top of the piston, you can encounter some problems with fuel washing on the cylinder walls. That means the fuel mixes with the oil and burns off, resulting in high oil consumption, flash burns, and occasionally low speed pre-ignition due to glowing hot particles of carbon sticking to the piston and cylinder head. Speaking of carbon, this is the single biggest issue with DI engines. Because gasoline is not flowing over the intake valves to clean and cool them, oil droplets recycled into the intake from the crankcase ventilation system burn on. The intake valves, which are already running hot, get caked in burnt carbon, and since the valves cant fully seat the cooling is reduced even further, and engine compression is lost. If let go too long, this can eventually trigger a domino effect of bad mixture, poor compression, and ultimately engine failure. I have heard of intake valves becoming so hot they break and fall into the cylinder. How do you solve this problem, and should I be worried? Car manufacturers are trying to battle the negative impacts that direct fuel injection has on engines. Early BMW and Audi/VW engines with DI have been long suffering major issues related to nearly every possible downside listed above. On some engines such as the BMW N54 and early TFSI units, catastrophic carbon buildup is treated as an inevitability. So much so that dealers have specialized service tools in order to clean the intake ports and the back of the valves. As you can understand, this is not a cheap service as the intake manifold has to be removed. Here’s a great DIY. We have metal versions of the adapter he used available here. This is the genuine tool used by the dealer. The black part attaches to a shop vac and the silver part goes into the intake port. Walnut blasting media goes in the small hole and then gets sucked out by the shop vac. The main issue with direct fuel injection is not with the lack of gasoline cleaning, however. The condition of your vehicle’s oil and PCV system is the crucial piece of the puzzle, as long oil changes and excess oil venting into the intake is responsible for most of the buildup. Some manufacturers have resorted to dual injector systems to reduce the carbon issue, having a set of standard style injectors on the intake manifold and another set of direct injectors in the cylinder. This further increases complexity but keeps the intake valves nice and clean. Of course, the direct injectors are active during low load cruising, and the port injectors activate for sporty driving. 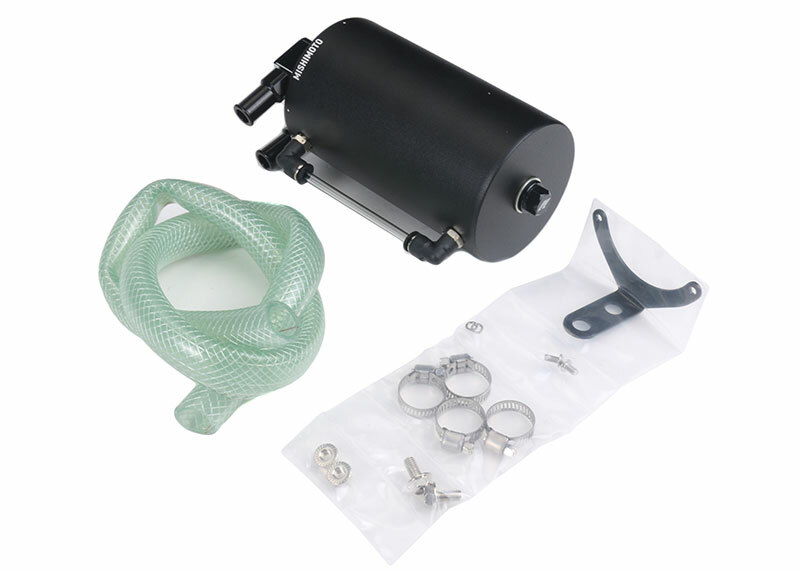 Other manufacturers simply resort to the requirement of higher quality oil, and have worked out the PCV issues to prevent excess oil from getting into the intake system. At this stage in the development of these systems, most carmakers have more or less worked out some of the largest downsides on their direct injection engines. Many racers/tuners with existing direct injection cars replace their PCV systems with performance oil catch cans. This allows all the oily air coming from the PCV to be separated and collected, instead of routing it into the intake system. This of course requires the can to be emptied periodically, usually with every oil change. We carry these in Mishimoto and I highly recommend them if you want to greatly reduce intake carbon. So, not all DI cars suffer the downsides of “Direct Infection”, but the system is not without problems that you really need to know about before buying or servicing a direct injection equipped car. If I missed something, or you have a story to add, hit the comment section below! Do the new direct injectors require more frequent cleaning than intake port injectors ? It’s all down to the individual model or design. Some will almost never need a cleaning, but some will require frequent cleaning to ensure top efficiency. We recommend having a fuel injector service around every 50k miles regardless of style (DI or Port). Car specific forums usually have the best user experiences with things like this so I recommend checking them out and doing some research on your particular model.